Lessons are based around your preferences - You will be playing your favourite songs in no time! Discover how Mike can help you to achieve your playing goals. From playing your favourite songs to gaining merits/distinctions in grade exams. 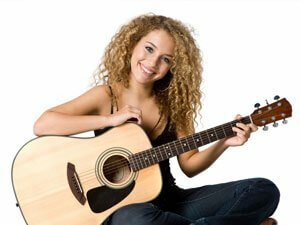 Check out the mini guitar lessons & articles to get you started on your guitar playing journey. 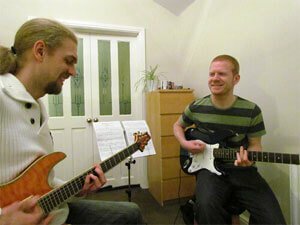 Take a look around the ideal teaching environment for your private guitar lessons. 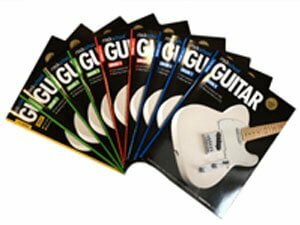 Browse Mike's recommended guitar accessories and grade exams. Although I have no musical experience at all, after 3 months under Mike's excellent tuition, I can already play a few songs! 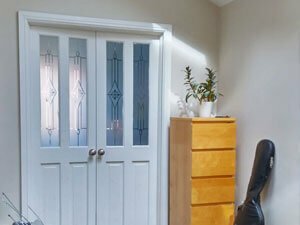 Mike has a huge knowledge of music and a modern studio with a bank of computers that can access any music needed. When you add all that to his friendly, amiable personality, his patient manner and his ability to focus on and get the best out of his pupils, especially in my case, absolute beginners, you have everything you could ask for in a music teacher! I would, wholeheartedly, recommend Mike to anybody thinking of taking up guitar playing or improving their musical skills.